So let's set the Wayback Machine back eight years. I was a newish writer with a legacy publishing contract and a blog, doing what I could to get my name out there. I was approached by a fan, Rob Siders, who noticed that I didn't have a Wikipedia page and offered to set one up for me, free. He was into coding, liked to read and write, and was one of those forward-looking types who understood that tech forged the future whether Luddites wanted it or not. I thanked him, and asked if I could return the favor someday. He asked me to keep him in mind if I ever needed to do any sort of computer stuff. Two years pass, I decide to try self publishing on DTP, Amazon's new Kindle platform, but trying to upload MS Word and make it look good on Kindle can only be achieved by going through the entire manuscript, word by word, and deleting or adding formatting marks. It's awful, time consuming, and I'm sure that a code jockey would know a better way of doing it. So I contacted Rob. He was able to format my massive Newbie's Guide to Publishing ebook, which was hundreds of thousands of worlds long and has more links and hyperlinks in it than the rest of my work combined. Rob did it, and it looked better than any of the ebooks I'd formatted myself. So I asked him to redo the ones I'd done, and I noticed something pretty spectacular. 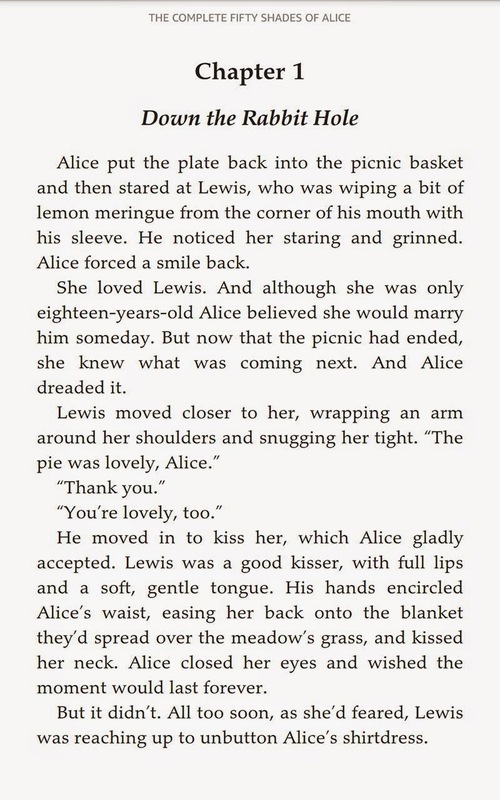 I'd erroneously been treating ebooks as words on a digital page, laid out according to whichever font size the reader chose. Rob showed me that ebooks, like paper books, could be designed. Average text, in the hands of a skilled craftsman, became a thing of beauty. A work of art. Rob founded 52 Novels, a book design company, with his wife, Amy. They offer their services for all ebook platforms, and for paper. I can unequivocally state that 52 Novels delivers books that are better looking, easier to navigate, and all around better, than 99% of legacy publishers. I caught up with Rob and asked him a little about how his business worked. Indie authors know the importance of great covers (I use Carl Graves at www.extendedimagery.com) and a flawless manuscript (I use Grammar Rules A to Z), but very few understand the importance of book design. To make a sketchy analogy, great book design is putting your novel in a tuxedo, whereas simply uploading your MS Word doc is going to the party in ripped jeans and a dirty tee shirt. Joe: What is it a book designer does? Rob: More than anything a book designer is a problem solver… not that the authors and publishers we work with are problems. What I mean is that all books have a logic to them, so our process always begins with trying to understand what the author is trying to say. Matching a look to that message—within the realm of what’s possible with ebooks—is sometimes the hardest work we do. Obviously, some books are straightforward so our work follows suit. But more and more we find that authors and publishers are trying to push the boundaries of what we've come to know an ebook to be. Joe: What’s different about the work you do, and me just uploading my MS Word doc to KDP? Rob: About half of the people who knock on our door these days have tried uploading a Word doc or PDF, to KDP and are frustrated because something has gone pear-shaped and they can’t fix it… the table of contents doesn't work, or a heading or two or three is wonky, or everything after Chapter 8 is bold, or whatever it is that KDP’s autoconverter produced. Word is a perfectly fine presentation application, but behind the presentation is a lot of complex code. The more you fiddle with the presentation, the more likely it is you've introduced an enormous amount of inefficiency in the code, as well. For example, the Track Changes feature—while a decent way to manage the editing process—can be brutal to the code. We've developed custom tools that extract the text from the document to leave us with super-clean code. Once we have that, we can do just about anything we want with it. Joe: Can you show us an example? This particular treatment—which was a premium project—uses embedded fonts and a stylized drop cap to get this look. That’s 100 percent text, XHTML and CSS. Joe: What makes a finished ebook look professional? Rob: There are lots of aesthetic things, like drop caps and embedded fonts, that add professional finishes that you just can’t do well with ebook conversion applications or that you can’t do at all with a Word-doc-to-KDP upload. But other hallmarks are typographer’s quotation marks (AKA curly quotes or smart quotes), poetry and verse that use hanging indents, and dynamic image sizing. Joe: What’s the difference in designing the interior of an ebook and a paper (POD) book? Rob: It can be night and day depending on the book, but the biggest difference is that designing for paper provides us with a lot of freedom and flexibility that just doesn't exist with ebooks. Paper is a larger canvas. It's fixed in size. And we don’t have to worry about the delivery device because it's the same regardless of who’s using it. We started as an ebooks-only shop and our workflow still follows that. So, if we can accomplish something in an ebook then the paper is usually a piece of cake. A lot of authors and publishers—especially in non-fiction—come to us having first made beautiful print books that simply won’t work well as ebooks, at least not without a lot of remixing or remaking the content. These are clearly cases where the print design was done in isolation with little or no understanding of the constraints on the companion ebook. Our advantage is that we work in both realms, with the ebook as the foundation. Joe: Why is it so hard to get good formatting on certain self-publishing platforms? Rob: There are two reasons. The first reason goes back to what I mentioned before… Word is pretty good at the presentation of text, but not so good at writing well-formed, efficient code underneath. The second reason is that the platforms themselves are designed for basic, predictable manuscript formatting. This is good because it fits the democratic, DIY punk rock ideal that fuels independent publishing and makes it so most everyone can upload their manuscript and get a functioning ebook on the other side. But what if the manuscript isn't so basic or predictable? Or, worse, what if it is basic and it's still not converting properly? I've been a Word power user for a lot of years and I wouldn't dream of uploading a Word doc to any of the self-publishing platforms. Joe: What if an author with out-of-print backlist books comes to you, and all they have are their old paperbacks? Can you convert their books? Rob: Absolutely! As you know, getting OCR output in shape is a lot of work. Because of this there’s more time and cost involved, but we've developed a thorough process to ensure these ebook projects are as clean as can be. The first step is the scan (OCR is Optical Character Recognition) and we've partnered with the best in the business as far as I’m concerned. After that, we ensure all the italics and bold type is the way it should be. We fix any wonky formatting issues---things like section and column breaks, missed or inserted paragraph returns, and line breaks breaks where they don’t belong. We then run a spell check to find any remaining obvious OCR artifacts. Once that’s done, we send the resulting Word file to the author to review. They can edit-in-place to clean up anything our process may have missed. Once the author's signed off, they send it back and we make the ebooks. In a few cases, authors have taken the opportunity to do a little rewriting. Joe: Where do most DIYers go wrong? Rob: Not having a complete understanding of the limitations of automatic ebook conversion apps. But I don’t necessarily fault them for this. There’s a lot of empowering conversation on the Internet about the facets of independent publishing. Unfortunately, a lot of it is also conflicting. I can see how someone might become frustrated when the results of automated ebook applications don’t match expectations. Joe: If readers can change their font style and size, why are designers needed? Rob: So 52 Novels can have fresh seafood flown in daily, buy Ferraris, and send our kids to Ivy League universities! Duh. Seriously though, one of the advantages to hiring a professional ebook design and development shop—especially one that’s been around a while and can tame code—is that it can remove a lot of the worry over whether the book will make it through KDP/Nook Press/Meatginder intact. We automate some things where we think it makes sense… I mentioned extracting text from a document and that’s a prime example. But much of our process is bespoke-by-design because we believe it consistently produces higher-quality ebooks. Joe: How many hours does it take to format a 90,000 word manuscript? Rob: It depends. A standard MOBI/ePub design can be started in the morning and cross-platform tested by lunch time. If the author or publisher has used some kind of literary device—like block quotes, verse, emails/texts, and the like—the process will take more time to ensure we've handled those things properly. Premium design projects take more time… making and acquiring assets for the project—whether it's finding fonts and navigating licensing, or making custom graphics—can sometimes add a day or two to the code whacking and testing. Joe: What’s your normal turnaround time? Rob: It depends on the time of year. Now that the industry has matured a little, we’re usually booking between three and four weeks out; add a week or two to that as we approach the holiday season. Joe: Let me ask the question a different way. How long does it take, start to finish, to complete a project? Rob: Ah. I wish there was a short, specific answer, but a lot depends on the author and the shape of their manuscript. For example, if we deliver a first pass on the Thursday of an author’s scheduled week and they return just a few changes the following Monday morning, then they could possibly be publishing ebooks by week’s end. But if the review takes longer or if they’re submitting lots of changes—anything more than a few pages—or if they’re doing multiple review rounds then they should expect a longer turnaround. If they have paper, then the timeline extends. We won’t start production on POD until we’ve got ebooks approved and ready-to-publish. It sounds counter-intuitive to not work on the ebooks and paper in tandem, but it actually simplifies project management to separate them. Besides, it can be a little daunting for an author to have ebooks and a POD dropped into their lap to review at the same time. Separating them in the workflow lets the project—and the author—catch a breath. Correx are handled first in-first out regardless of when the first pass was delivered. If someone takes two weeks to complete the review, they could find themselves three or more spaces back in their designer’s correx queue. We find things take a little longer when an author has never worked with us before or if they've never published at all, if only because everything is new to them. New authors also often discover their editing and rewriting wasn’t as thorough as they believed it was. After seeing their book in this new way, a lot of people find typos they overlooked a hundred times before. Authors unable to resist the temptation to revise their work during the production phase should expect both time and costs to increase. We can’t emphasize this enough: manuscripts must be final before they’re delivered to us for production. Joe: What kind of authors do you like to work with the most? 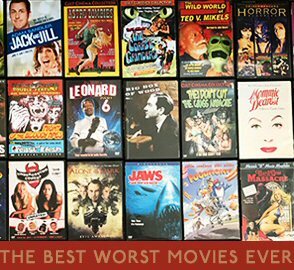 The least? Rob: We like working with authors and publishers who remember there’s a person making their book. Joe sez: And as people, Rob and Amy are a pleasure to work with and have my highest recommendation. One of the jabs constantly made at indie authors is how our books are somehow not professional because we don't have a team behind us. I'll admit that my books don't support an infrastructure of yesmen taking meetings and buying lunches for agents while renting in the most expensive real estate in the US and giving employees 401k plans and retirement packages from my royalties when they've spent an hour, tops, on one of my titles. To paraphrase the wise sage Dean Wesley Smith, if you hire a gardener to cut your lawn, or a painter to paint your house, you pay them once for their service. You don't give them a chunk of your income, forever. Dean isn't saying don't hire professionals. Professionals are needed to get a professional result. He's saying pay them once, not forever. You might get a professional product by signing with a publisher. And in return, they leech off of you for years. Or you can pay a one-time set cost, get the same professional quality, and make your work indistinguishable from what the Big 5 are doing. Well, almost indistinguishable. Unless you're charging $14.99 per ebook novel. Then no one, not even your own mother, will be able to tell the difference between your books and one done by the legacy industry. Well, that, and the fact that when you finish your book you can release it, rather than have to wait 18 months. And that you have control over your cover art and title. I've been saying this since 2009. 1. Write a great book and make it as perfect as you can get it. 2. Make sure the book looks great and provides a great reader experience. If you're a polymath, maybe you can write, do brilliant cover art, edit and proofread yourself, design the interior, and do all of the marketing and advertising by yourself. Me? Check my sidebar. Those are the folks who help me sell books. They could help you, too. Nice info. I've never cared for drop caps. Even as a kid they seem out of place. I am no longer a kid. I'm not always a fan of drop caps, as well. They don't always work for material and sometimes the design just needs to be simple. Joe's always given me the freedom to try new things. Usually he's not very specific about what he wants. This time he said he wanted the ALICE trilogy to look like a fairy tale book. This was just an more modern take on that style. Can you give us some indication of the costs? I know there are many factors, but let's just say a 50k final professionaly proofed copy, without graphics...simple text, designed to look nice. Can you give a baseline cost to design for Amazon as an Ebook and additionally as POD via CeateSpace. Can you give us a typical range? curious Rob ... what might be your turn around time on a say 70k word ms word doc, right now? and cost aprx for formatting a 70k word ms in Word for kindle/mobi/POD? One of the things I love about DIY is the ability to go back in, anytime I want, and make a change, no matter how small, and upload my new version. It sounds like that wouldn't be possible through this service. @Silas, @Anonymous: I handle the production end of things. I've asked my wife Amy who runs the operation to jump in and answer these ballpark estimate kinds of questions. She's having a Mommy/daughter day today, so please check back. @Dianna Dann Narciso: Authors frequently ask us to make updates to their books, including Joe. We've had a few enterprising folks who have taught themselves how to do what we do or have asked us to teach them. In the former case, we license our code for a fee; in the latter case, we charge a consulting rate. I love this. I'm starting to see a pushback all over the net against the notion that ebooks are print books' ugly cousins. An ebook CAN be beautiful. It CAN enhance the reader experience. It definitely CAN be more than just strings of words on a screen. As much as I admire Mark Coker and all that he has done for self-publishing, I hate, hate, HATE his Meatgrinder. Not for what it purports to do, but because it has made thousands of people think MS Word is a good way to build an ebook. That has led many device makers to pander to the lowest common denominator and that has led to ebook devices that are not living up to their potential. Keep up the good work, Rob. You make amazing ebooks. @Just Jaye: Thanks for your kind words. We try not to get in the reader's way. After all, the content is the thing and it should be the most important part of the book. At the same time, you're 100 percent correct: ebooks don't have to be the ugly cousins---great description!---of their paper counterparts. Er ... no! Step away from that design program. I actually have a background in graphic design, and have been a freelancer for over 20 years, but the whole point of ebooks is the reader can decide what they look like, not the publisher. I don't want someone else's choice of font, size, spacing, etc forced upon me. You can use images for fancy chapter headings if you want, but leave the text alone. @marcus: I agree with you. The screen shots above were taken on my personal device and the body text is my choice. We generally leave body text alone unless there's a compelling reason to do otherwise. For example, some ereading systems (looking at you B&N) have terrible support for special characters and foreign language characters, so we have to embed or specify an on-board font to get those things to work. 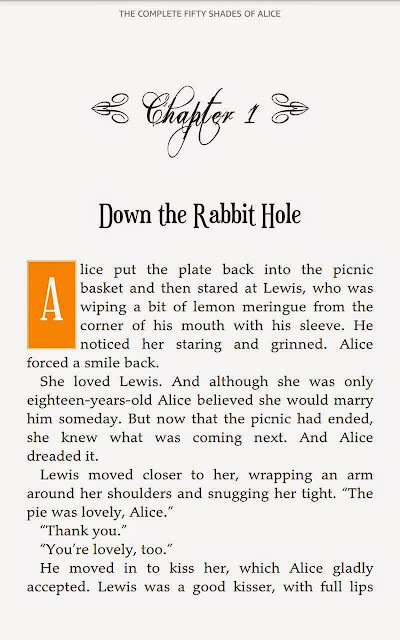 Sometimes an author has a display effect or literary device that's, arguably, best achieved with a font. And sometimes that compelling reason is the author's creative vision. We base all of our flat fee fiction pricing on the simplest manuscript -- no images (except the cover), no special formatting elements or literary devices ("handwritten" journal entries, simulated e-mail or text messages, lists or bullet points are a few examples of these). • $200 for the mobi file for Kindle plus the ePub file for use at Nook Press. • $60 for an optional ePub file to use at Smashwords. • $450 for a print-ready PDF for use at a Print On Demand distributor like CreateSpace or Lightning Source. For the same title, our Premium package would include the mobi file for KDP, the ePub file for NookPress, the ePub file for Smashwords and the print-ready file -- all files would include custom-designed title page and section/chapter headers for $1000. @marcus: An additional thought... using images for text in chapter headings is something we try to avoid for many reasons. The first is that not all reading systems have built-in accessibility features, so using an image-as-text---even with full alt tags---makes it impossible for some systems to read the image's content aloud. It's for this reason that the image content can't always be searched, as well. The second reason is that not all reading systems display images well, especially when they rely on scaling to accommodate various viewports (again, looking at you B&N). As a result, images---especially ones with text---look terrible except in a narrow set of circumstances that are ultimately out of anyone's control, including the reader's. thank you Rob, and Amy. Appreciate the prices. Good luck to you all. Sadly, like any most other companies in this business, 52 Novels employs a lot of freelancers who actually do their work. Rob doesn't really do it for anyone other than favored accounts like Joe. Some of those freelancers are pretty good, others aren't. I used 52 Novels for 6 books, but the process of being assigned first to one freelancer and then another was so confused and the results I got frequently took so much time and effort to sort out that I gave up on them. To tell the truth, they really didn't seem to care. Apparently they have lots of clients and losing a few doesn't bother them. I thanked Rob and Amy for their reply on costs, but there is also another 'anonymous' in the comments string, below my thanks. Just to note, the second anony who used Rob's services, is not me. I've not yet used anyone's. @Anon 1:43 PM: I'm sorry your experience was unsatisfactory. I can't speak to your circumstance because you've chosen to be anonymous. We do try to maintain author/designer pairings whenever possible and there are numerous, obvious advantages to doing so. Typically, when this hasn't worked out it's because an author's timeline doesn't match well with their designer's current schedule. In those cases, we ask the author if they want the next available slot on the schedule or wait until there's an opening on their current designer's schedule. Again, I can't speak to your specific circumstance because I don't know who you are. While it may be too late for us to recover your business, you have an open invitation to contact me or Amy at any time to discuss. As for my team's employment statuses... we transitioned everyone from independent contractor to employee beginning in Q4 of 2012. We'd intended to do so earlier. Everyone who has ever worked for us was previously known by me and Amy---or referred to us by a current staffer---and hired by us in person. They made books exclusively for 52 Novels. We've never outsourced to an overseas company and we've never jobbed out projects to freelancers in the sense you've implied. Thanks for this detailed post on formatting! I'm curious, because you mentioned that you use embedded fonts to handle special fonts/titles/drop caps. Are these in the form of SVG files? Do these types of files translate seamlessly for various types of ereaders? Also, do they handle transparencies well? 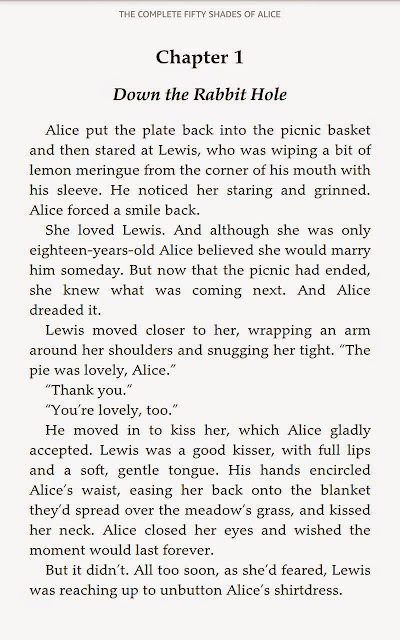 For example, if someone is reading on the Kindle Fire with the Black or Sepia background, will the dropcap or title have a white box around it? @R.M. Prioleau: Thanks for the questions. Support for SVG is built in to the ePub 3 spec, but adoption of the spec among the various ereading systems has been far from complete. As such, we've avoided using SVG to display text in favor of using TrueType and OpenType font software. Both TTF and OTF display as the on-board fonts do when changed to sepia or night reading mode. I currently use a formatter I found through Smashwords for both e-book and print, and the graphic designer is actually a former stablemate at my previous publisher and does a really solid job. The one thing, I believe, that is essential for all author's to understand is that you really can't rush things on book designing/covers. If you're given an option of now or later, don't yap about choosing the later option. Be happy with the timeframe that you either chose or were given, because in spite of how tired this cliché may sound, you can catch more flies with honey than vinegar. A bad reputation in some tight circles can be almost impossible to overcome. I do my writing in Scrivener, and actually have started playing with their settings, and you can make gorgeous e-books in .mobi or .epub format quite easily with Scrivener. Including "fancy" stuff like using images for chapter heads, etc. Welcome to the William Morris side of The Force. I can't find anything on your website about how you write, your routine, how you plan, if you plan, how long it takes to craft a book.....can you tell us? I agree with Tymber. If you know how to make your settings right in Scrivener, it's a fantastic tool for making great ebooks in any format. Looks better than a lot of legacy publisher ebooks out there.